(NO) PUBLIC ACCESS RULE. Stop it Before it Stops You! Help NJOA, The American Littoral Society, NY/NJ Baykeepers and the NJ Surfriders Foundation, Stop it Before it Stops You! The N.J. Department of Environmental Protection is presently proposing to scrap and replace important rules that protect and create public access to the State’s tidal waterways, including the Jersey Shore, the Hudson River and other urban waters. The new rule proposal— the (No) Public Access Rule—threatens to drastically reduce the public’s right to view, use and enjoy the State’s rivers, bays and coast for fishing, surfing, bathing, diving and all other water dependent recreational activities. This Fact Sheet is one in a series of Fact Sheets detailing why DEP’s proposal must be stopped. Towns that have eliminated on-street parking near the water, closed off public access points, sided with property owners in public access disputes, and resisted public access to beaches created with taxpayer dollars would be in control of public access decisions. Even though the State of New Jersey has a duty to protect and preserve the public’s right to access and use tidal waters, DEP is proposing to give this authority to municipalities. Towns would be empowered to develop their own “municipal public access plans” that would dictate where public access and related amenities, if any, will be required. A town does not have to provide access where there are “practical limitations” and may send its public access obligation to a neighboring town or to other parts of the county. The proposed rule will clearly result in fewer new public access points, parking places and amenities, and keep many waterfronts closed to the public. Currently, new public access opportunities must be created as a condition of development along tidal waters. As a result, since 2007, new access points for fishing, surfing and beach walking have been created. Under the (No) Public Access Rule, new public access opportunities would not be required for many types of development projects, particularly those for projects closest to the state’s largest cities – where most people live. The proposed rule will remove many existing legal requirements established over the years that have a proven track record in creating and protecting access. Creating and protecting public access has been a long fight, and legal tools to deal with ongoing, chronic problems were created over the years: required dedication of access and parking for fishing, requirements to remove parking restrictions and time limits in order to receive public money. These clear, unequivocal legal requirements are being removed, and the public would now be asked to rely on weak, vague standards and nonexistent commitments to public access by developers and historically hostile towns. 1. What is a Municipal Public Access Plan? Under the (No) Public Access Rule, a Municipal Public Access Plan is a plan prepared by a municipality stating what public access, and any related amenities, are and will be provided. A plan would amend the towns’ Master Plan, must be adopted by resolution, and must be approved by DEP. Apparently, DEP will take each town at its word as to the need for public access within its borders. The (No) Public Access Rule does not require any public participation in the preparation, municipal adoption or DEP approval of municipal plans. DEP apparently intends to allow certain municipalities to keep the public out. The (No) Public Access Rule expressly allows towns to create public access points in adjacent municipalities or anywhere in its county instead of providing public access within its borders. Even if DEP wants a particular Municipal Public Access Plan to ensure better public access, the proposed rule does not appear to contain any standards to allow DEP to do so. The (No) Public Access Rule proposal does nothing to ensure that Municipal Public Access Plans preserve existing public access and amenities and create increased public access and amenities. In addition, the proposed rule creates no standards whereby DEP can demand that a town’s plan be revised to create better public access. Even if a town adopts a beneficial Municipal Public Access Plan, that plan—like so many other municipal land use plans—may not be implemented right away . . . or ever. Other than a plan renewal process every six (6) years, the (No) Public Access Rule has no provisions for DEP to oversee or to compel the implementation of Municipal Public Access Plans. Nor does the proposed rule give DEP the power to enforce such plans. The Supreme Court of New Jersey has recently ruled that new beach areas created as a result of publicly funded shore protection projects (i.e., beach renourishment) are public property. Under the Public Trust Doctrine, the public has a right to access and use these new beaches, and the State has a duty to protect the rights of the public to do so. 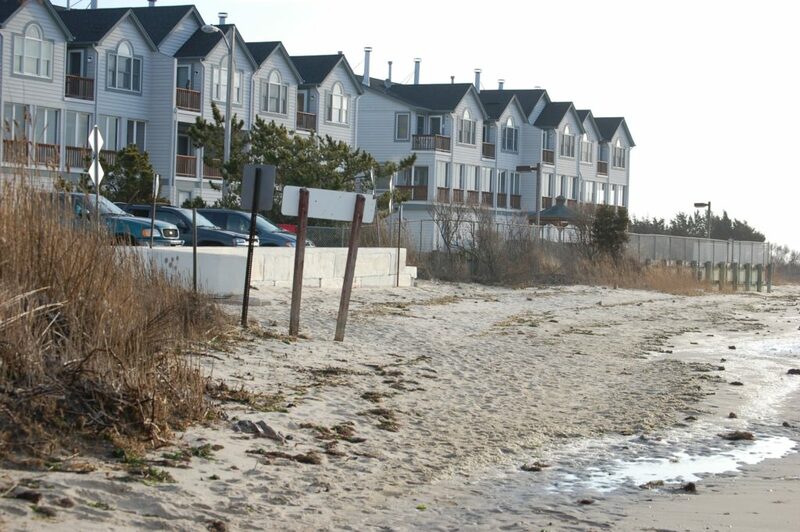 Under the (No) Public Access Rule, all current rules requiring towns to provide public access and amenities for new beaches created through shore protection projects would be abolished. Significantly, the rules requiring public access points every one-quarter (¼) mile, parking and other amenities would be revoked. Apparently, the State’s stated policy of providing “meaningful public access” to the Jersey Shore will be placed in the hands of the Army Corps. DEP is not proposing to replace any of its current rules on shore protection projects with any new standards of its own. Instead, any applicant would have to comply with standards set by the Army Corps in a guidance document that (1) are not created specifically for our State and (2) can be changed at any time by the Army Corps without any public process. Those standards presently require public access points every one-half (½) mile and “sufficient parking”. Even if DEP’s claims are correct, they are not telling the public what types of public access and use enhancements will give one project priority over another. DEP has claimed shore projection projects that provide for meaningful public access will be given priority for shore protection funding; however, the proposed rules do not contain any such ranking system. In far too many areas, there is no public access to the urban waterfront; DEP’s proposed “status quo” approach to existing developments will keep those areas closed to the public. North of the Raritan-Driscoll Bridge, many waterfronts are urban in character. Having been developed long ago for commercial and industrial uses, new development is not as common as in other areas through the State. Nevertheless, in many instances, the (No) Public Access Rule would not require existing commercial, industrial, marina, and port developments to provide public access where none presently exists. Existing public access should be enhanced–not eliminated or changed in any significant manner. The (No) Public Access Rule would allow changes to the locations of existing public access points. To facilitate additional development, for instance, property owners would be allowed to relocate existing public access points to different parts of their properties. There is no requirement that the replacement access constitute an improvement over the existing access, nor is there any provision that users of the existing public access point be given any notice of the change. There is no requirement that replacement access be provided before the closure of existing access, which means some waterfronts may be temporarily closed, particularly during periods of construction. Access to portions of the Hudson River Walkway may be limited to hours that are not conducive to fishing or other forms of recreation, particularly by those who work normal business hours. Fortunately, DEP is not revoking its regulations that require all waterfront development along the Hudson River to develop, maintain and manage a section of the Hudson River Walkway. However, while access to the Walkway is presently available 24-hours a day, the (No) Public Access rule would allow that public access to be time-restricted due to an injury risk or a threats to public safety. The current rule resulted in the creation of many new fishing access areas and amenities. It is an affront to the recreational fishing community that DEP is proposing its repeal. The (No) Public Access Rule would end the requirement that fishing access and associated amenities be required as part of development (including reconstructed bridges) along tidal waterways. 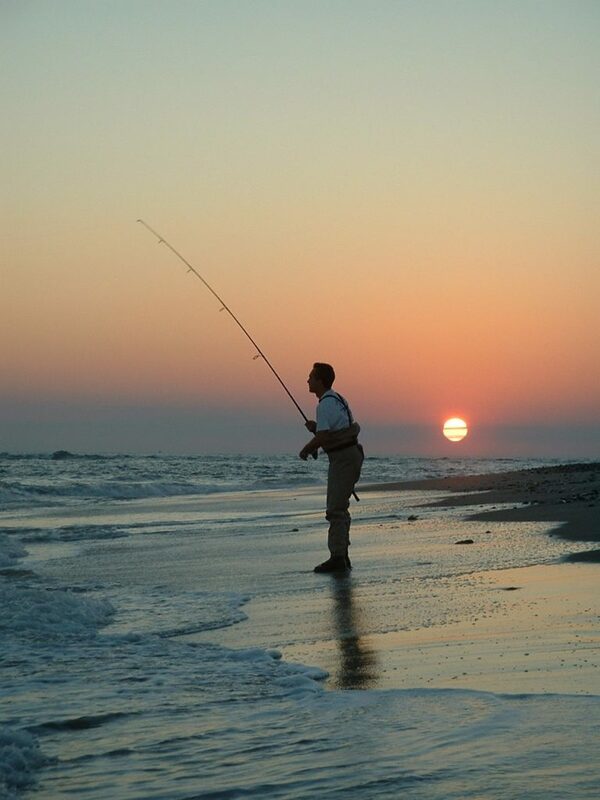 As surf fishermen who lug gear from the nearest available parking space know all too well, there is a major difference between fishing access being provided every ¼ mile as opposed to every ½ mile. DEP is proposing to repeal its ¼-mile public access requirement for renourished beaches and instead rely upon the federal Army Corps of Engineers lesser ½-mile standard. Without sufficient parking, public access to the waterfront can be meaningless. The (No) Public Access Rule does not contain any specific parking requirements. It is not clear how much public parking, if any, must be provided for in the untested Municipal Public Access Plans. The proposed rule does not state how much parking constitutes is “sufficient” for beach renourishment projects. 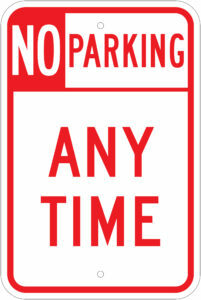 Moreover, towns are no longer required to remove parking restrictions in order to receive State funding for such projects. Particularly along the urban waterfront, DEP’s proposed “status quo” approach will keep those areas closed to the public. In many instances, the (No) Public Access Rule would not require existing commercial, industrial, marina, and port developments to provide public access where none presently exists. Apparently, DEP believes that the public does not fish on weekends, at night, or in the early morning. In many instances, the (No) Public Access Rules would only allow public access “during normal operating hours.” This is true for public projects, industrial developments, marinas and commercial facilities (where additional hours may be allowed).